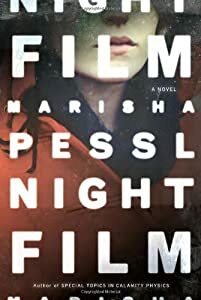 This week Marisha Pessl publishes her second novel Night Film, one of my most anticipated books of the year. For a chance at winning Marisha Pessl's new novel Night Film and a $100 Threadless gift certificate, leave a comment with the title of a book that recently impressed you. The winner will be chosen randomly at midnight ET Friday evening (August 23rd).